An Exhibition of Paintings by Indian artist Malika Garrett. 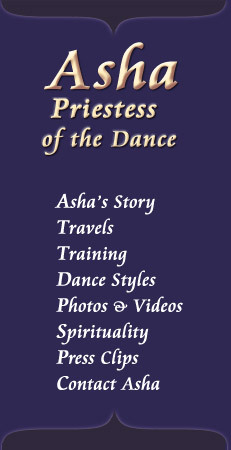 Asha danced for the opening reception of this prominent Atlanta Indian artist, who shares a common love of Rajasthani culture with Asha. Asha spoke to the exhibit's patrons about her experience in Rajasthan, and performed an invocation tribute to the ancient spirit of the Rajasthani Ancestors. Presented by Rivaage Magazine at the Fay Gold Gallery, Atlanta. Asha performed throughout the gallery, dancing to the live Rai performance by Atlanta's own, Rai Gnawa.